A great first impression and good customer service is an essential part of any business. 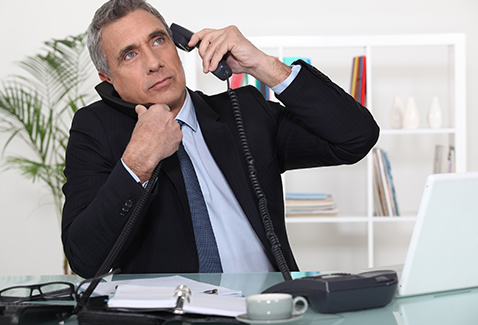 Many small businesses often struggle with providing great customer service because they simply cannot afford to hire a full-time receptionist. Utilizing a call answering service, also known as a Virtual Receptionist, is a cost-effective way to automate your business and increase your business’s professional appearance without adding additional cost. Virtual Receptionists will answer the incoming calls for your business in the manner that you specify. They are also trained to provide the highest level of customer service so your callers will never know their calls are being answered from a remote location. How many times have you rushed to answer a call, only to find it’s a telemarketer or Aunt Betty? Having your calls screened and forwarded to you can be a big time-saver. A Virtual Receptionist can manage your incoming calls based on the instructions you have provided. Calls that are answered quickly and professionally give your business a great image and impress clients. Virtual Receptionists can be briefed on how you want your business’s calls answered so that calls are always answered by a courteous and knowledgeable person. Great customer service can even help boost sales! With a Virtual Receptionist, you can rest assured that calls will always be answered during your hours of operation. There isn’t the risk of your receptionist going on vacation or taking a break. By outsourcing your call answering services, you can avoid hiring a full-time employee and allocate the capital to further your company’s growth. Outsourcing your call answering service offers many benefits to businesses both large and small. Working with a company that is reputable and that you can trust to represent your business well is vital. ManyShared Office Spaces, such as Lakeside Executive Suites, offers virtual receptionist services that can help automate your business operation and provide a professional image without breaking the bank. Check out our infographic for other services that can help your business thrive. Need more information? Contact us and let’s chat! When it comes down to saving time on productivity for your business, we at Lakeside Executive Office Suites are the experts in helping small business owners regain their sanity. At Lakeside, we are devoted to helping our business clients by handling the usual day-to-day duties so they have the time to focus on the more important work. Let us handle your phone calls, mail, office furniture, internet services, and other miscellaneous tasks! Want more information about how our services can benefit your business by saving time? Contact us today!